Every week, Making A Mark gives an insanely talented artist a little brag-space right here on IADW. This week, it's the turn of Pierluigi Abbondanza - an Italian digital painter, who has as much skill rendering the ladies of pop-culture as he does blind laywers. I really like how simple his compositions are. Most of Pierluigi's gallery falls back to just the subject and his talent with colour, which makes them all perfect for framing! 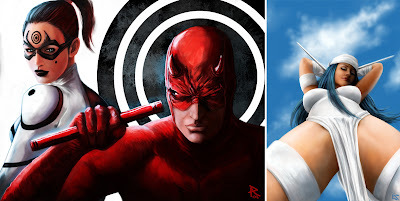 Good to see Elektra back in white too! 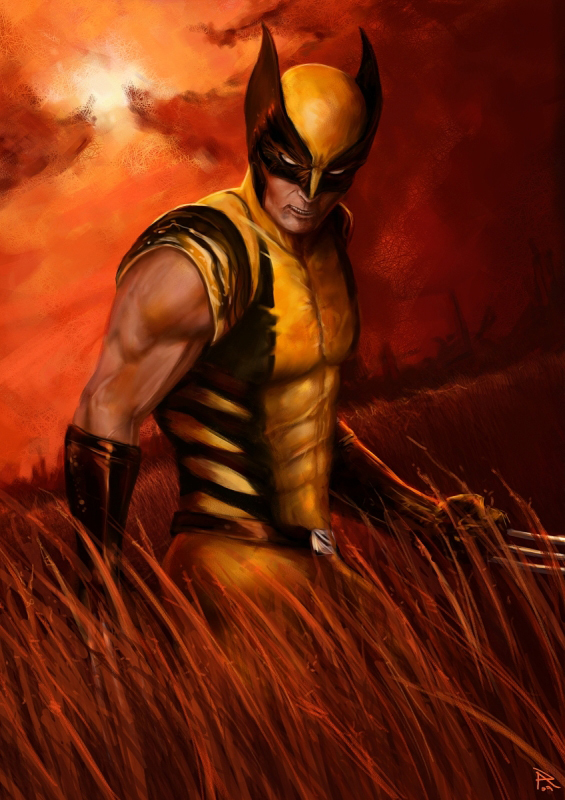 This one I craved because I'm a huge fan of the brown and rust Wolvie of old, and a believe 'the best there is at what he does' wouldn't run around in fluro yellow and highlighter blue. This dusky shot 'o cool teases what Logan would look like if his past collided with his present. What do you reckon? For more home-made Italian masterworks, visit Pierluigi's personal website right after the jump. oh my friggin God that Elektra is hooooooot! Ha - thought you'd like that one Dave!